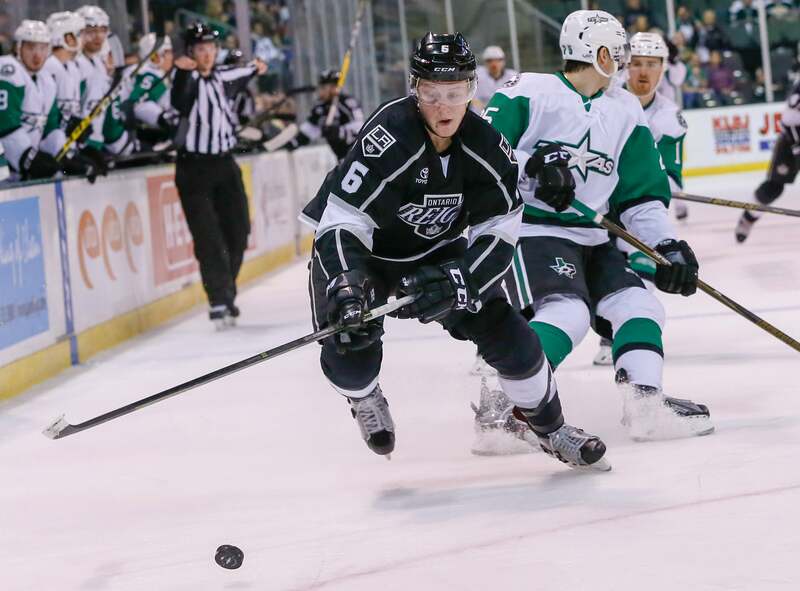 Ontario, CA – The Ontario Reign, proud American Hockey League (AHL) affiliate of the Los Angeles Kings of the National Hockey League (NHL), battle the Texas Stars tonight at 7:00 PT at Citizens Business Bank Arena. Tonight is the fourth and final regular-season meeting between the two teams. The Reign are 1-1-1-0 against the Stars this season. The last time the two Pacific Division rivals met was in late October with the Stars skating away with a pair of victories in Cedar Park, Texas (5-4 win on Oct. 28 and 2-1 overtime win on Oct. 29). The Reign defeated the Stars in the first meeting of the season, 6-5 in overtime, on October 21 at Citizens Business Bank Arena. Reign defenseman Vincent LoVerde leads the head-to-head series with five points (two goals, three assists). Four members of the Stars hold four points against the Reign. The Reign and Stars hold the highest scoring meetings in Reign history. The two teams combined for 11 goals on Oct. 21 (6-5 overtime win) in Ontario and 13 tallies last season on November 21, 2015 (7-6 win) in Cedar Park. The Reign enter tonight’s contest with the second-best power play in the AHL at 26.7 percent and sit 6-for-12 (50 percent) against the Stars. The Stars are 5-for-16 against the Reign (31.3 percent) and lead the AHL with nine shorthanded goals. Forward Teddy Purcell has three goals and seven assists in his last eight games. Forward T.J. Hensick, who is on the same line as Purcell, has two goals and eight assists in his last eight games. Hensick leads the Reign with seven multi-point games this season. Jan. 11 Texas at Ontario 7:00 p.m.